Why See Cast Of Impractical Jokers? 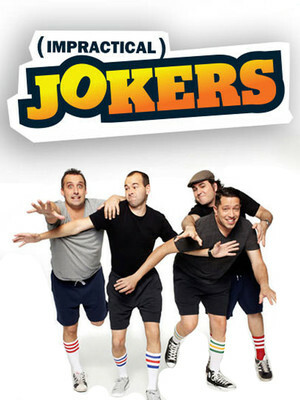 You know them as Murr, Sal, Joey and Q, stars of the hilarious hit TV show IMPRACTICAL JOKERS, now in its second season on TruTV. 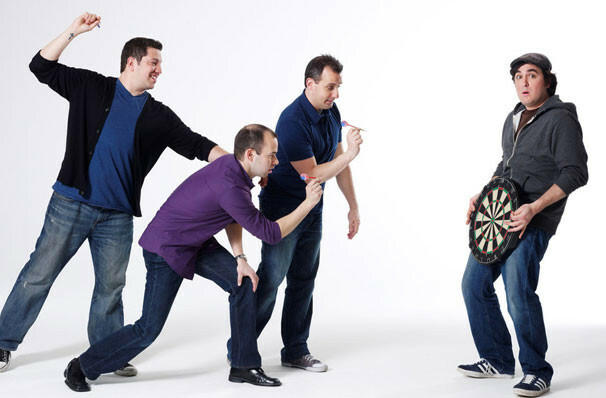 These lovable childhood buddies have entertained millions of people for over a decade, first through their improv & sketch comedy troupe The Tenderloins (www.TheTenderloins.com), and now through their television show. Here?s your chance to see them perform live! Join them for a night of hysterical never-before-seen hidden camera challenges on the big screen, stories from set that you won?t believe, improvisation, live Q&A, and more! This interactive comedy show with the stars of Tru-life's "Impractical Jokers" features never-before-seen videos, a audience question and answer session, stand-up comedy and more. Sound good to you? Share this page on social media and let your friends know about Cast Of Impractical Jokers at USF Sundome. Please note: The term USF Sundome and/or Cast Of Impractical Jokers as well as all associated graphics, logos, and/or other trademarks, tradenames or copyrights are the property of the USF Sundome and/or Cast Of Impractical Jokers and are used herein for factual descriptive purposes only. We are in no way associated with or authorized by the USF Sundome and/or Cast Of Impractical Jokers and neither that entity nor any of its affiliates have licensed or endorsed us to sell tickets, goods and or services in conjunction with their events.